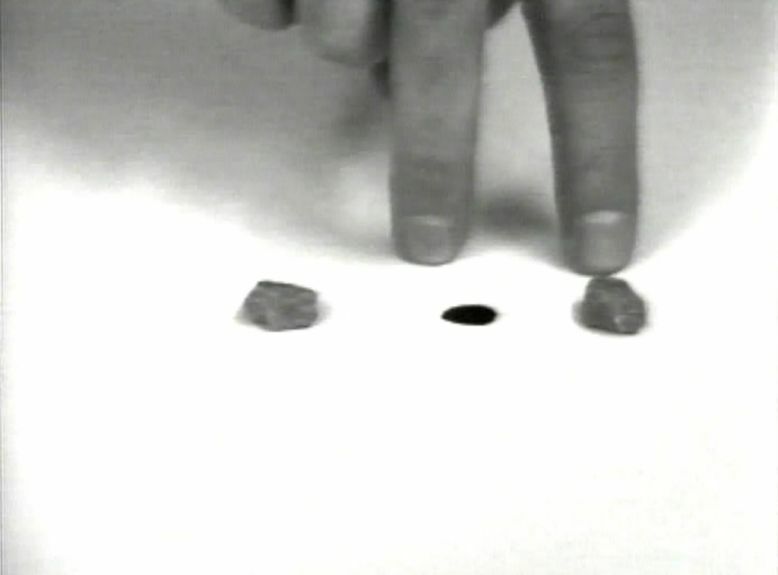 In 'Le tombeau des nains’ two pebbles are laid on the canvas-like white surface common to most of the Nyst’s videos of the time. Two fingers come along, and move about the pebbles, revealing the two black stains they were hiding. The fingers repeatedly attempt to move the stains as well, with no success. 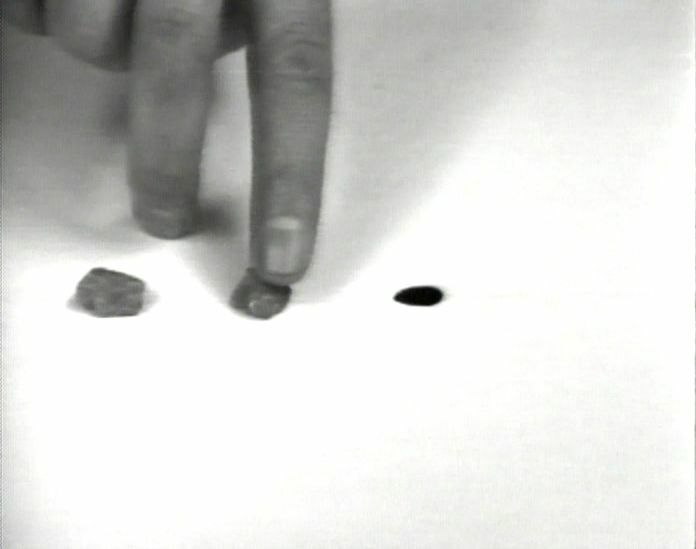 Puzzled at first, but soon resigned, the fingers put the pebbles back on top of the black spots.